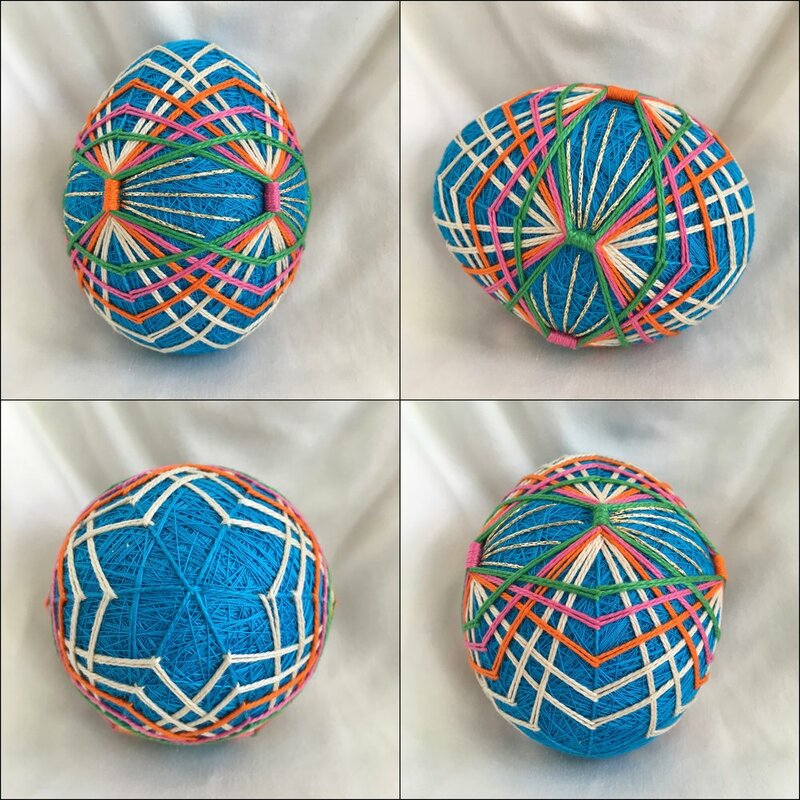 Temari and eggs seems like a perfect marriage, and I have seen some gorgeous ones in print and online. And I've made my share of them. 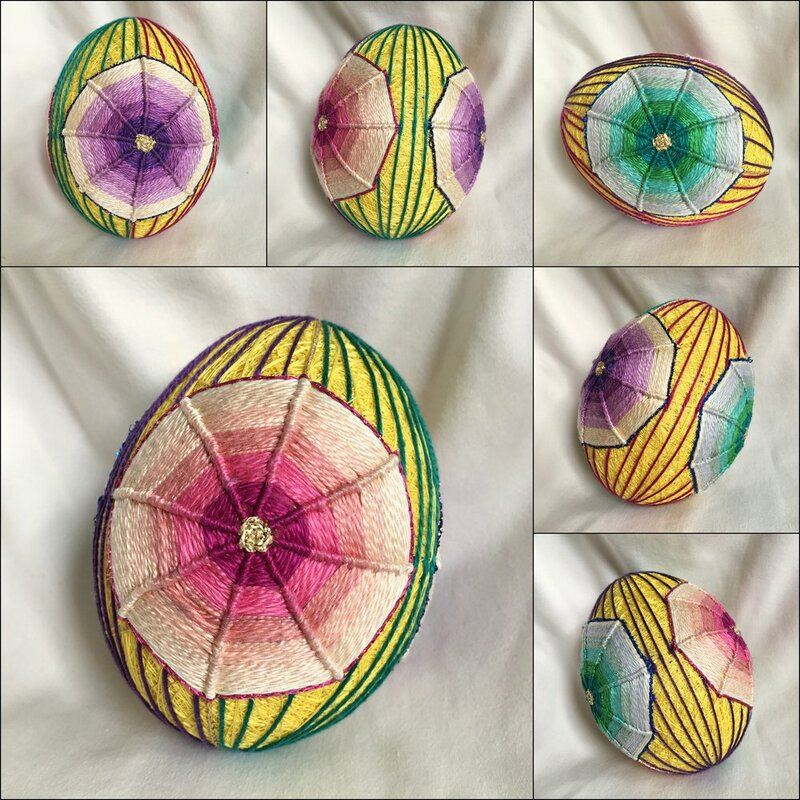 But in truth, I find temari eggs far more difficult than spheres to design and stitch. I've made several recently, with varying degrees of success. The name means "bridge" in Japanese, and I chose it because the stitching reminds me of cable-stayed bridges such as the Zakim Bunker Hill Bridge spanning the Charles River in Boston or the Pasco Kennewick Bridge in Washington. And now, I think I'll go back to spheres for a while!